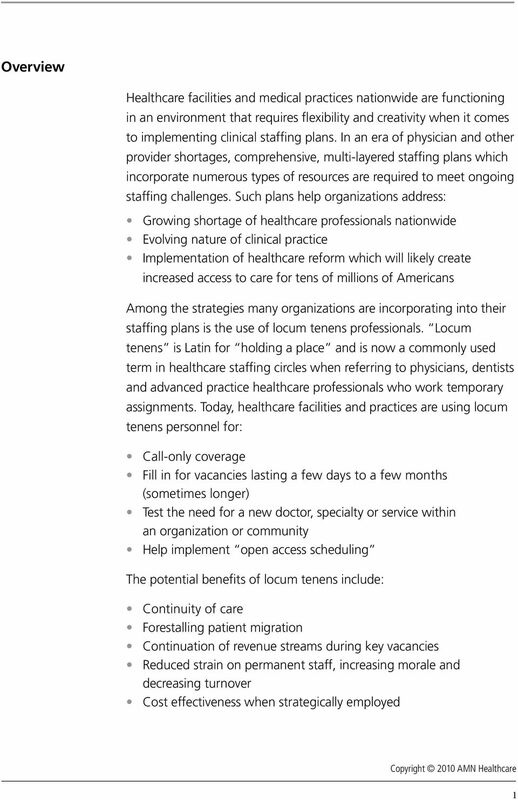 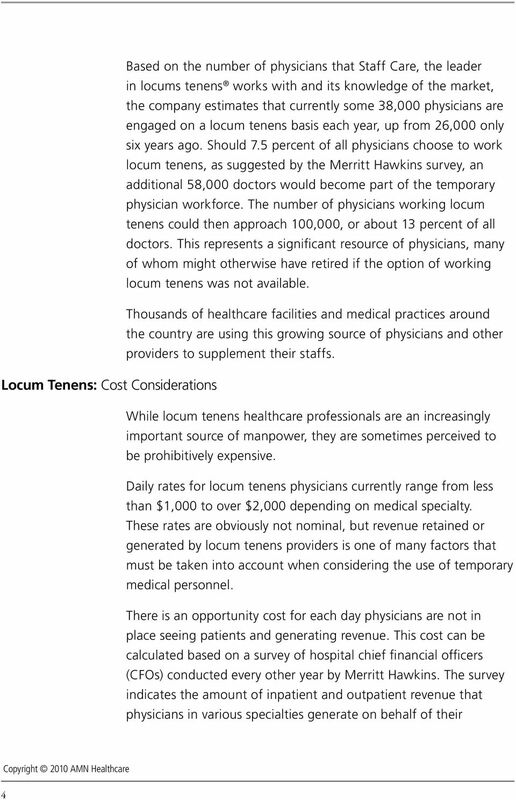 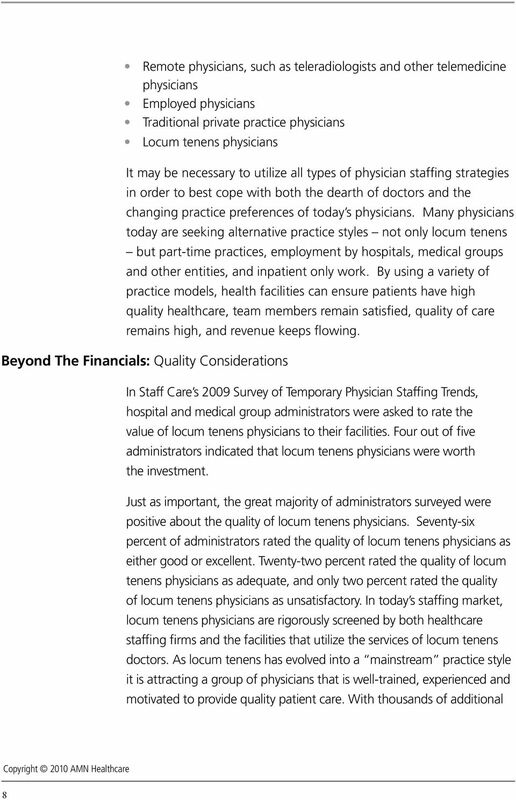 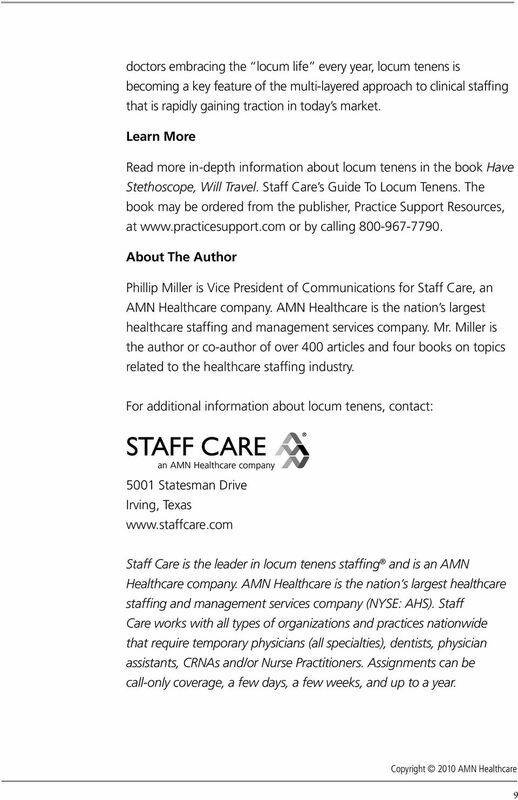 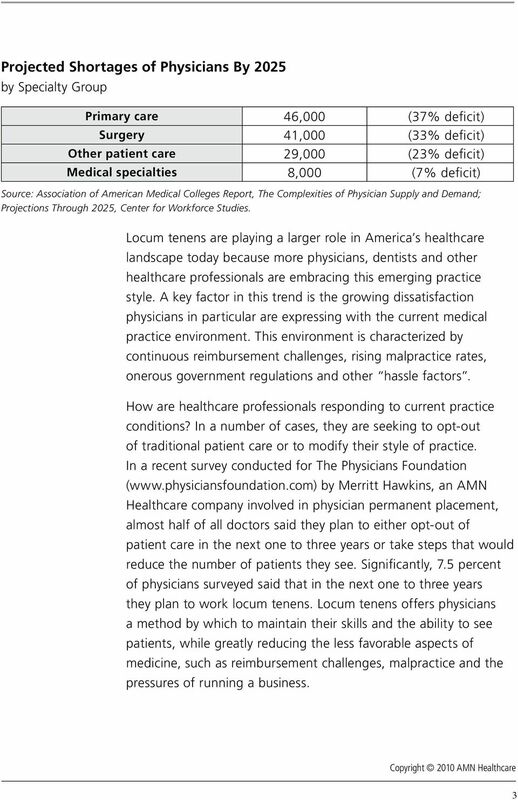 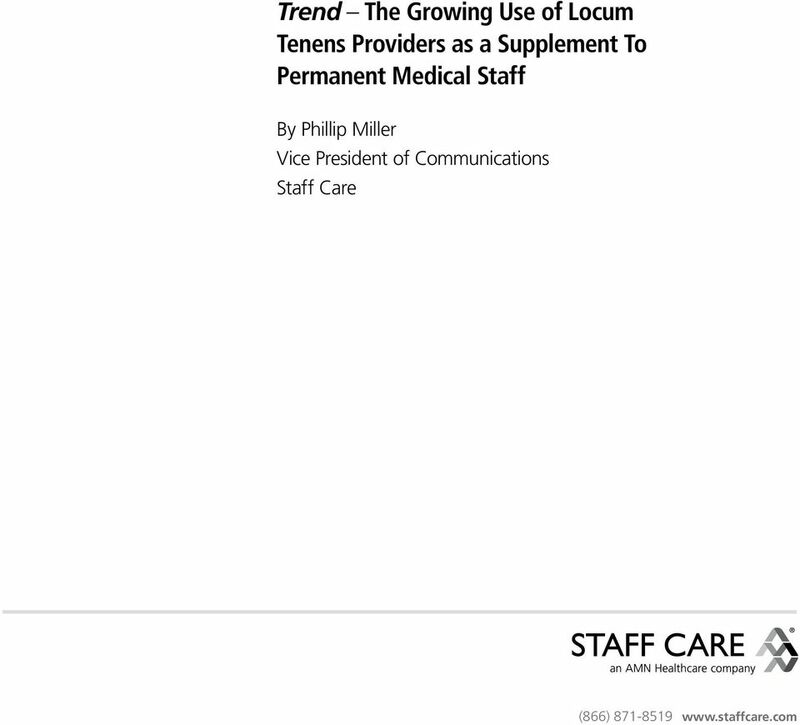 Download "Trend The Growing Use of Locum Tenens Providers as a Supplement To Permanent Medical Staff"
2002 Physician Inpatient/Outpatient Revenue Survey INTRODUCTION: Merritt, Hawkins & Associates is a national physician search and consulting firm representing over 2,000 physician search engagements annually. 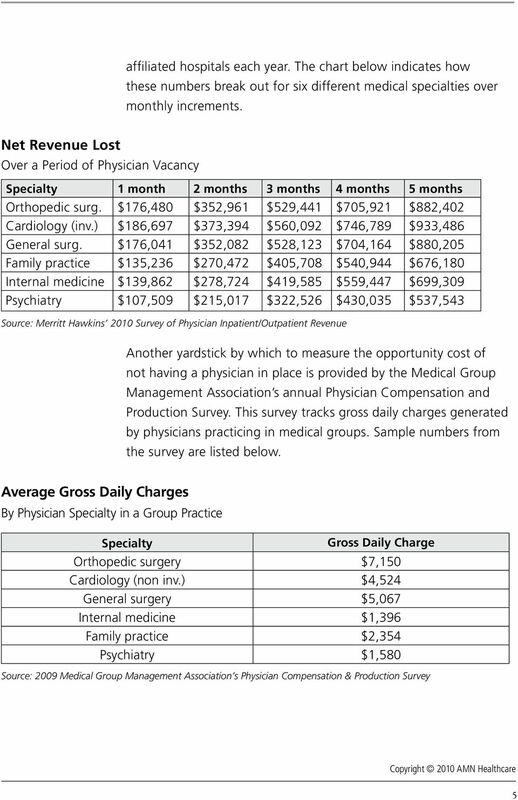 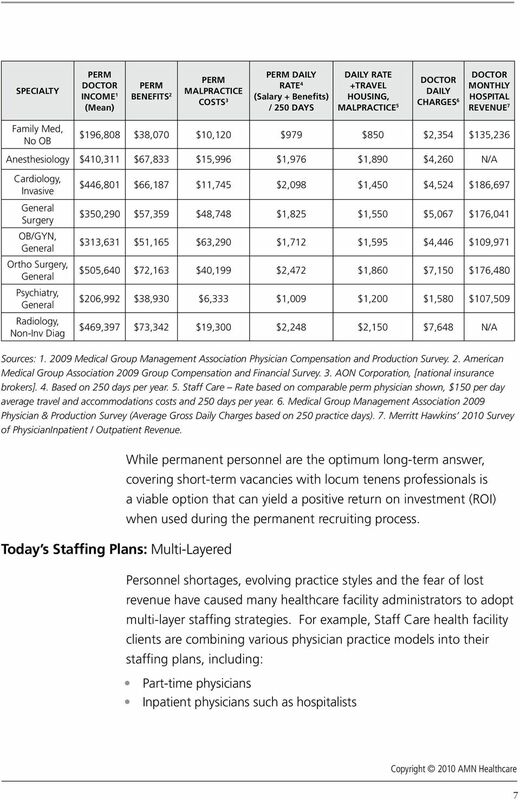 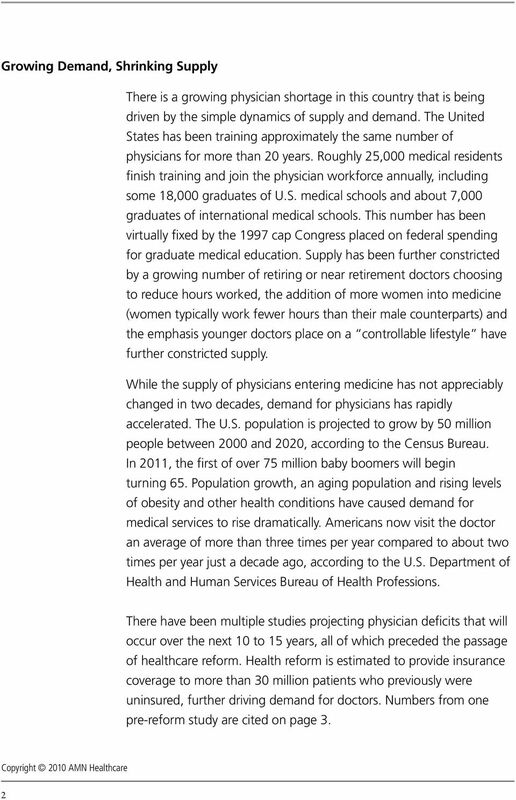 2011 Clinical Staffing and Recruiting Survey. 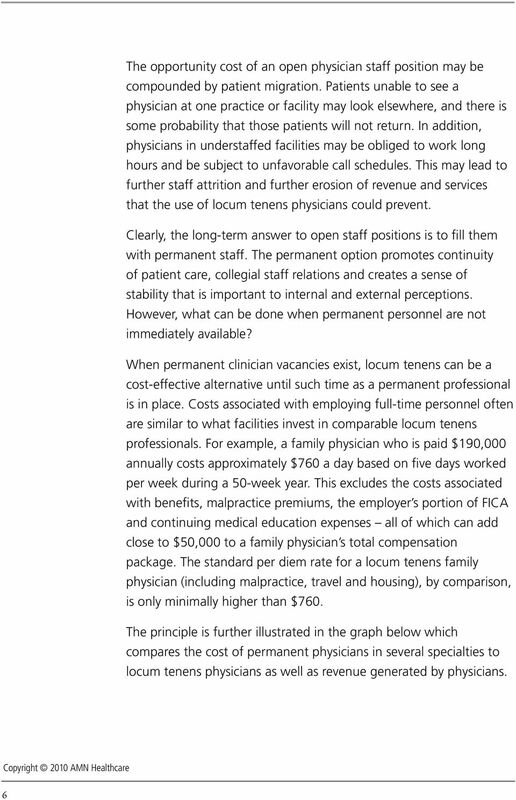 Indian Health Service The Reyes Building, 801 Thompson Avenue, Ste 400, Rockville, MD 20852 www.ihs. 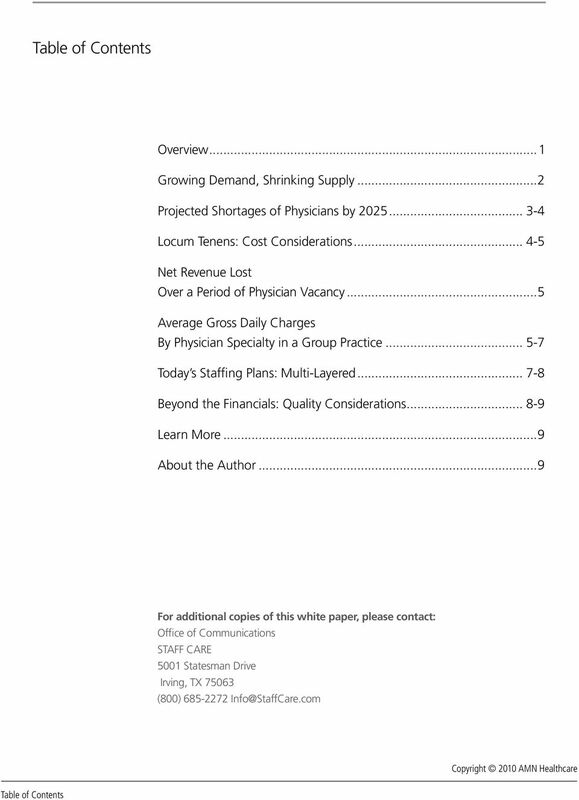 A MANAGER S GUIDE: HOW BETTER NURSE TO PATIENT RATIOS CAN IMPROVE THE HEALTH OF YOUR PATIENTS & LOWER STAFFING COSTS.